If you rent out real estate in Atlanta, you probably know that screening your potential tenants prior to renting to them can afford you a lot of peace of mind. There are many risks that come with renting to people you haven’t fully vetted, such as damage to your property, loss of rent, and the added hassle and expense of legal fees associated with evictions and lawsuits. Luckily, there are a number of things that you can do to protect your investment and yourself from harm. You can find various rental applications online, or you can create a specialized one for your property. A good rental application asks for basic verifiable information for each person who will be renting from you, such as name, current address and phone number, employer, current and former landlords, employment and banking information, and personal references. If you allow pets in your rental properties, you will also want detailed information on the number, type, and breed of pets owned by the applicants. Verify all of this information by calling the applicants’ employers, references, and landlords. You can check the applicants’ credit reports through one of the three credit reporting agencies. If an applicant is in major debt or has a history of paying bills late, he or she will likely not be a responsible tenant. Running basic background checks will provide you with the applicants’ criminal records and inform you if an applicant has ever been evicted. You can also find out if an applicant has filed for bankruptcy or has been sued by bill collectors or previous landlords. A property management company can be of great assistance to a landlord who lives far away from his or her rental properties or who simply doesn’t have the time necessary to conduct proper tenant screenings. A residential property management company will help you find and screen tenants, manage lease agreements, and handle maintenance issues and evictions. In today’s housing market, more homeowners are choosing to reap the benefits of renting their home. Renting your home rather than selling it allows you to maintain ownership of the property without shouldering the burden of paying for it alone. 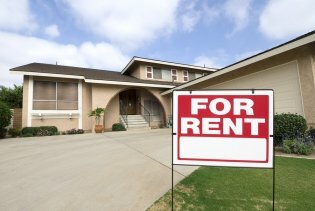 If you are considering becoming a landlord in Atlanta, the help of a qualified rental property management agency can help you throughout this process. An updated, clean environment is not only safer for future tenants, it is more appealing as well. Offering a desirable living space will help you attract interested tenants quickly so you can rent out your home without a long waiting period. An updated interior can also allow you to ask for a higher rent based on your upgrades and amenities. Keep in mind that your home will likely require a safety inspection before you can put it up for rent. You’ll need to make sure your home meets all safety regulations, including fireproofing and electrical safety standards. A qualified real estate agency serving Atlanta can also help you manage your property. Real estate agents specializing in property management offer services such as tenant screening, property maintenance management, and more. This means your renters will go through your real estate agent rather than contacting you directly with their needs. Having a trusted professional managing your rental property and directing calls to you only when necessary will reduce the amount of time and effort it takes to rent your home. Additionally, a real estate agent can help you determine the right amount of rent to charge based on your home and your area. Renting your home can be a great choice, whether you need to move quickly or simply don’t want to sell your property. Working with an Atlanta-area rental property management agency is a great way to receive professional help and advice to ensure you enjoy your experience as a landlord. If you own commercial or residential real estate near Atlanta , you may have taken out a loan to initially pay for the real estate. If you put up collateral with the loan and then default, and the collateral is sold for less than the outstanding balance, the remaining amount owed is the deficiency balance. A lender can sue a borrower over a deficiency balance, though that doesn’t mean they will. The purpose of the lawsuit is to recoup the lender’s losses, so if the deficiency balance is low, it generally isn’t worth the time and money to pursue a lawsuit. Defending yourself against a lawsuit brought against you due to a deficiency balance can be difficult and costly. Oftentimes, your only defense will be the discovery of an error in the original loan process. 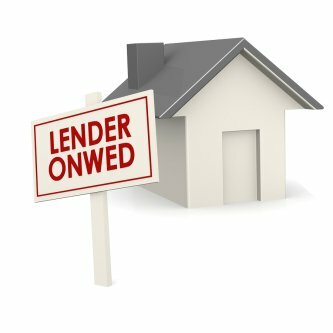 If you know your real estate investment will soon be repossessed, you can avoid a deficiency balance by asking the lender to reinstate your contract so you can sell the property yourself with help from a short sale realtor. This may help you avoid having a deficiency balance.